Located on Banksville Road, Pabellon is bringing Pittsburgh a mix of Venezuelan and Mexican Cuisine all under one roof. Chicken breast seasoned with garlic, onion, salt, pepper and olive oil, Mayonnaise, and avocado. Seasoned shredded chicken and yellow cheese. Shredded Beef and yellow cheese. Scrambled eggs mixed with onion and tomato. Mozzarella cheese, tomato, and sauce made of olive oil, basil, garlic, salt and pepper. Shredded beef, black beans, white cheese and plantains. Shredded chicken breast, mayonnaise, avocado and yellow cheese. Black beans, cheese and white cheese. 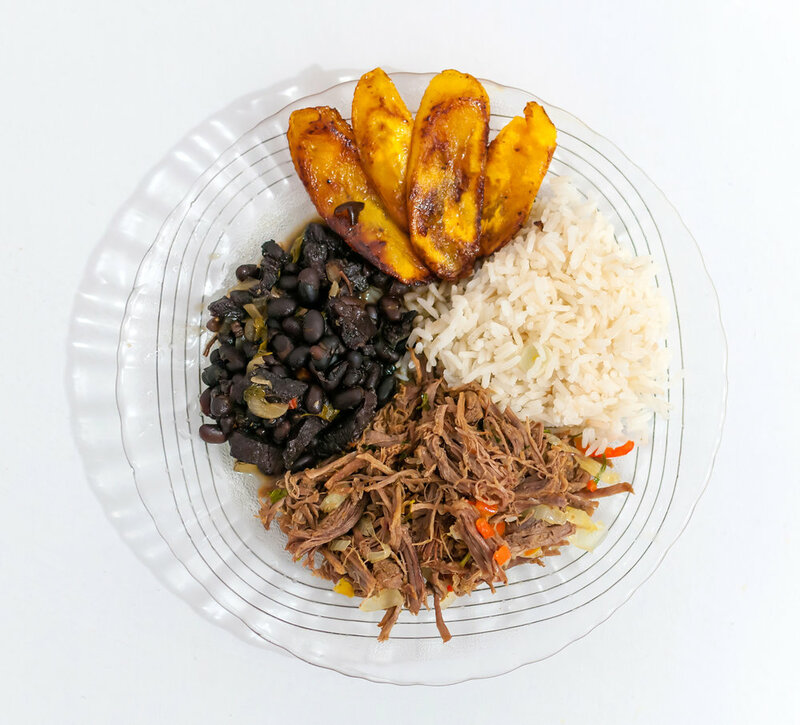 Shredded beef, black beans, white rice, arepas and sweet plantains. Black beans, ground beef, jalapeno, fresh cheese, pico de gallo, guacamole and melted cheese. A 12 inch flour tortilla, wrapped with your choice of meat, rice, beans, pico de gallo, guacamole, sour cream and fresh cheese. A 12 inch flour tortilla, wrapped with your choice of meat, rice, beans, pico de gallo, guacamole, sour cream topped with chipotle salsa, fresh cheese and coriander. A 12 inch flour tortilla, wrapped with steak, rice, beans, homemade fries, pico de gallo and guacamole. Your choice of meat marinated with lime and salt, rice, beans, romaine lettuce, pico de gallo, guacamole, sour cream and fresh cheese. Your choice of meat, wrapped with rice and beans, pico de gallo, guacamole, sour cream, cheese, lettuce, topped with cheese salsa and coriander. A 12 inch flour tortilla with steak, grilled chicken and chorizo, rice, beans, pico de gallo, guacamole, sour cream and fresh cheese, topped with flag sauce (green, white, and red), and coriander. A 12 inch flour tortilla with ground beef, lettuce, tomatoes, potato stick and American cheese. A 12 inch flour tortilla wrapped with shredded beef, black beans, white rice, sweet plantains, avocado and fresh cheese. Corn tortilla with your choice of mean, and choose either rice and beans, coriander, onion or pico de gallo. Flour tortilla, your choice of meat topped with lettuce, pico de gallo, onion, sour cream and cheese. Corn tortilla with your choice of grille chicken or steak, green peppers, onion, rice, guacamole. Refried beans on the side. Corn tortilla, grilled chorizo with Oaxaca cheese, grilled cactus, guacamole and green onion. Charro beans on the side. Corn tortilla, grilled Mahi Mahi fish with shredded purple cabbage and carrot, avocado and chipotle dressing on top. Beans or rice on the side. Corn tortilla, grilled steak, chicken, chorizo, poblano pepper, Oaxaca cheese topped with guacamole, pico de gallo and green onion. A 10 inch fried flour tortilla shell stuffed with romaine lettuce, marinated with lemon juice and salt. Served with rice, beans, your choice of meat, pico de gallo, guacamole, sour cream and fresh cheese. Corn tortilla, grilled arrachera flank steak, or pulled pork, sauteed nopales, pico de gallo, avocado, cilantro, beans on the side. 3 deep fried flaute-shapped stuffed shredded beef oro chicken, with pico de gallo, guacamole, lettuce, sour cream and fresh cheese. Corn tortilla with shredded beef, black beans, white rice, sweet plantains, avocado and fresh cheese. Corn tortilla stuffed with chicken or beef, topped with lettuce, pico de gallo, guacamole, sour cream, frsh cheese, and choose green or red sauce. Accompanied with rice and beans. Corn tortilla stuffed with chicken tinga or shredded beef, topped with mole and chocolate sauce, fresh cheese and sour cream. Accompanied with rice and beans. Corn tortilla painted with guajillo sauce, stuffed with fish. Served with 5 shrimp, covered with cheese and chipotle sauce, topped with avocado, pico de gallo, sour cream and fresh cheese. Accompanied with rice and refried beans. Corn tortilla stuffed with shredded chicken, topped with tomatillo sauce and chipotle sauce, with steak topping, guacamole and sour cream. Chihuahua cheese and coriander. Accompanied with rice and beans. Fried Corn tortilla, covered with refried beans, meat of your choice, lettuce, pico de gallo, guacamole, sour cream and fresh cheese. 10 inch flour tortilla, deep-fried and filled with Chihuahua cheese, your choice of meat, topped with Mexican flag sauce (green, white and red) and coriander. Rice or beans on the side. 10 inch flour tortilla, stuffed with your choice of meat. Chihuahua cheese, grilled onion and peppers. Served with sour cream and guacamole. A 12 inch flour tortilla with rice, beans, poblano pepper, onion and pineapple. Corn tortilla with rice, beans, poblano pepper, onion and pineapple. Fried corn tortilla, covered with refried beans, pico de gallo, onion, green pepper, pineapple, guacamole, sour cream and fresh cheese. A 10 inch flour tortilla, Chihuahua cheese, vegetables, served with rice, lettuce, sour cream, pico de gallo and guacamole on the side. 3 deep fried flaute-shapped stuffed with potato and cheese, with pico de gallo topping, guacamole, lettuce, sour cream and fresh cheese. Topped with Italian meringue and cinnamon. Topped with your choice of sugar, chocolate syrup, or caramel syrup. Condensed milk, whole milk, egg, and vanilla extract. Topped with your choice of strawberry, chocolate, or caramel syrup. Double scoop of ice cream (chocolate, strawberry or vanilla) topped with your choice of: caramel or chocolate syrup.